Keith Griffin is a 21-year Naval veteran currently serving on active duty in Southern Maryland. In the past 20 years he has served in the capacity of a Search and Rescue (SAR) Medical Technician, providing lifesaving trauma and medical care to patients and victims all over the world. He has instructed medical courses ranging from Basic CPR to National Registry EMT to Combat Search and Rescue Medicine. As well, as an instructor he has been the primary medical instructor for the Navy’s Aviation Rescue Swimmer School, and lead medical director for the Aviation Water Survival school. He has been involved in some type of an Emergency Medical System now for 19 years all over the world from the islands of the Caribbean to the Pacific Northwest to the Middle East and all across the South Pacific with a specialization in flight medicine and Tactical Combat Casualty Care. He was also one of the first SAR Medical Technicians to be designated a Fleet subject matter expert in the area of Medical Evacuations (MEDEVAC) for the Seahawk Weapons and Tactics School (Top Copter) in Fallon, Nevada. 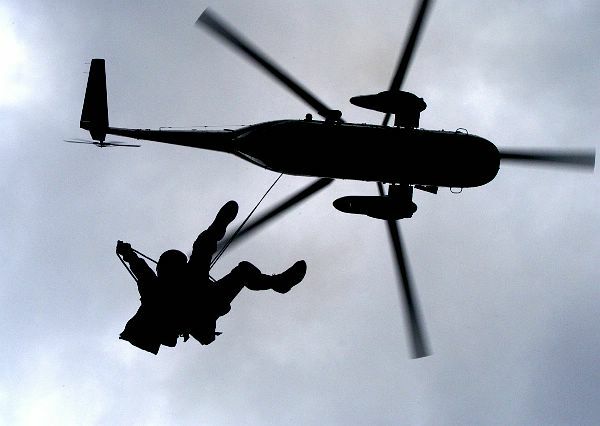 An expert in his field, he has accumulated over 1300 mishap-free flight hours in various helicopter and fixed wing platforms performing numerous medical evacuations and helicopter rescues in varying areas around the world including over water rescues, inland high altitude rescues and medical evacuations in combat zones. He has served as a Disaster Preparedness Officer with responsibilities and management duties in the unpredictable environment of the Gulf Coast region, leading two evacuations and six preparedness drills during tropical storms during his tenure there. He also was proud to serve as the Enlisted Technical Leader (National Director) for the Aerospace Medicine Technician job field for the entire U.S. Navy. He has been a medical product consultant for a major trauma supply company, helping to improve R & D, cost analysis and industry upkeep in the ever changing advanced trauma life support field. He is a certified Black Belt for Naval Air Systems Command AIRSPEED, using Lean and Six Sigma techniques adapted toward Naval Aviation Test and Development for cost savings, manpower optimization and increased work production. He has provided pre-hospital and acute care in over ten ER’s and fifteen Naval Hospitals and clinics including four Nuclear Powered Aircraft Carriers all across the United States and in sixteen countries world-wide. He is a graduate of the Defense Threat Reduction Agency’s (DTRA) Installation Vulnerability Course and holds an Associate’s Degree in Counter Terror Studies from American Military University and is actively working on a Bachelor’s Degree in Intelligence and Security Analysis. Some of his personal accomplishments include, the sunrise summiting of Mt. 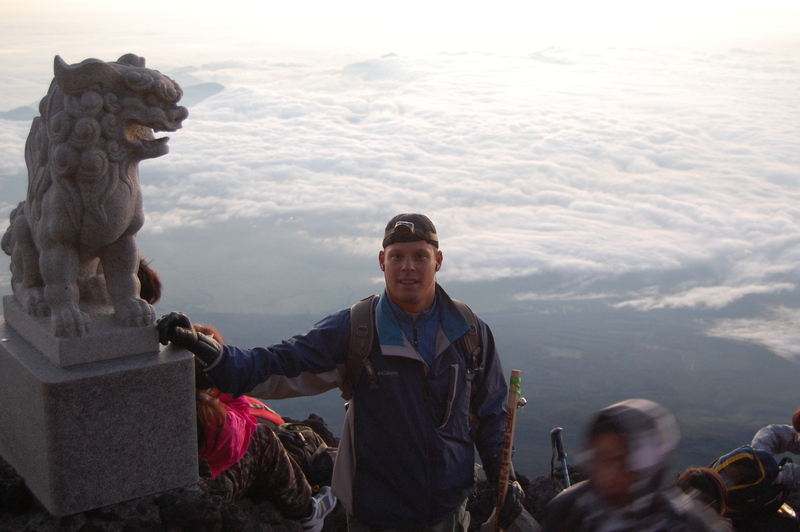 Fuji in Japan, completing Ironman triathlons in St. Croix, providing SAR coverage in the Outback of Australia, hiking portions of the Appalachian trail, executing high altitude helicopter rescues in the Cascade Ranges of Washington, water rafting the Class IV lower rapids in West Virginia and having the privilege to provide MEDEVAC coverage for American servicemen and women in Southern Iraq, Kuwait and Syria who were fighting for our country in Operation’s Iraqi Freedom and Inherent Resolve. He was awarded the American Red Cross’ highest honor, the Medal of Merit and the Hero Award, both for multiple lifesaving actions throughout his career. Presidential Honor Guard, Washington D.C.